I am so pleased at the way my yard looks. Thanks Eiljah for taking the time to make my yard look great. Keep up the good work. Hopefully you will still maintain my yard once the season for mowing start up again. Wonderful job!!! Not only does the yard look great, they were very friendly! They also discussed additional services they offer. In regards to professionalism. Amanda was amazing. She was quick to answer any questions I had and clarified the LawnStarter process. Completely satisfied! My yard looks amazing! I was pleasantly surprised to arrive from church today ( two days ahead of schedule ) and see the yard groomed. 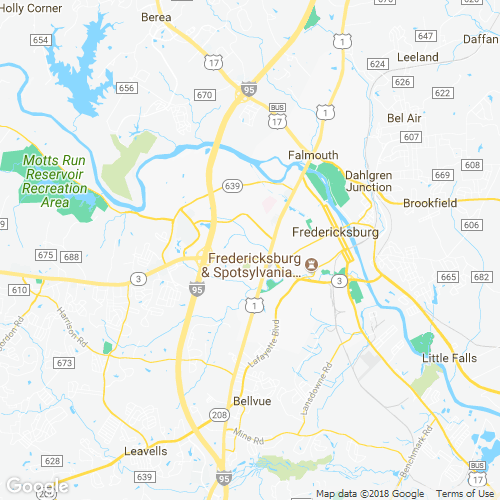 We currently have no rainfall data available for Fredericksburg, VA.
Fredericksburg has a rich history dating back to the Civil War, and millions of visitors stop by each year to see the battlefields and museums. The proximity to the D.C. Metro area makes it easy for locals to access to the Capital and any amenity they need or want. History buffs can't get enough of Fredericksburg and Spotsylvania National Military Park. ItÕs a must-see for any Civil War fan. DonÕt forget the Fredericksburg Battlefield and Visitor Center, where you'll find a museum filled with information and artifacts from the war between the states. If there is one thing Fredericksburg residents love as much as we love history, itÕs a good distillery and tavern. The A. Smith Bowman Distillery on Bowman Drive offers several selections for bourbon lovers. Stop by for one of their complimentary tours every hour Monday through Saturday. In the mood for a good tavern? Check out Maltese Brewing Company that features decor from local and faraway fire stations. We have as many restaurants to offer as we do historical sites! Mason Dixon Cafe is a great place to stop for brunch. The cheese grits are a favorite. In the mood for some fine dining? Sedona Taphouse has an extensive menu. They're known for their Kobe sliders and salted caramel cheesecake! In a hurry? Grab a slice of pizza at Benny Vitali's Pizzeria. You can burn off those calories by hiking or biking along the Rappahannock River. It's also an excellent place for fishing and catching oysters. You donÕt want to miss out on all the action by spending your weekends on lawn chores. Mowing, weeding, pruning and edging takes up time you could be spending on your boat or at the local brewery. ThatÕs where LawnStarter comes to help! We're all things lawn care in Virginia. 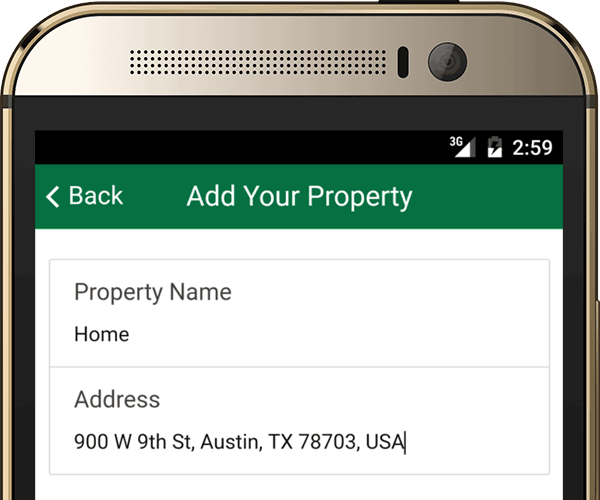 Just log onto our website, download our handy app and enter your zip code. 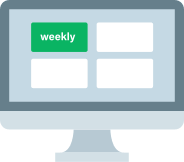 We'll send you a list of services in your area at prices you can afford. The best part? You don't need to be home when our lawn care specialists arrive. Let us do the dirty work and enjoy all that Fredericksburg has o offer. As a local lawn care company, we take pride in all of our neighbors having beautiful and lush green lawns. Knowing that we did the work to help their property look beautiful makes us smile. Our name Lawn and More shows that we will give you a beautiful green lawn by providing you lawn service and even got the extra step for you to keep it green. Go with a local company owner by a local owner like William Surber and keep your grass green. As the residents of the large DC?Baltimore area know, weather conditions are not the same throughout the year, even for areas that are only separated by fifty miles. This is why choosing a local company such as ours, Big B's Landscape Services in Fredericksburg, VA, can benefit you and your lawn greatly. We are aware of the different types of soils and challenges for healthy lawns that might exist in one community but not another. We will save you money keeping your grass green. Antron Minor is a lawn care professional that will help you with your yard service needs until you are satisfied. Based out of Fredericksburg, VA, Minor and his team at Minor Contracting & Delivery Service, LLC have years of experience in their field. They are detail-oriented, competitively priced, and dedicated to making lasting relationships with their clients. They truly make your lawn dreams come true. Adams did a great job. My grass is short and even. The edges were all trimmed cleanly. And they made all the pine needles covering my walkway, driveway and patio disappear. It's a pleasure to come home from work and find my yard so neat and trim. Jason was right on time for service and yard maintenance at my house, even did a few extra things I had to complete. Great attention to detail am very satisfied an feeling like I have a yard again. Thanks again to Jason and his crew. Sorry for the delay. Was out of town. Lawn looks great. The lower cut looks good. Rick did a great job. Much better than last time. Thanks! Caleb did a wonderful job on our yard! Overall looks good but some areas are uneven. Thomas and his crew far exceeded my expectations. I live on a very steep hill, that had lots of weeds. They transformed my wild jungle into a neat lawn in a timely manner. THANK YOU! There are some areas in the front that appear to have been missed and still has weeds sticking up. I originally requested for a short cut and some time it is and some times it's not. Pretty good, wish they would have moved the small play toy to get under it. Grass looks outstanding. Thank you! Line between my neighbors house and mine not completely straight when approaching the street. Just take the mower all the way down straight please. Although it could be due to my neighbors bad fence job, it's not completely straight. Everything else looks good. LawnStarter pros will let you know what your lawn needs. Here are some recent recommendations for extra lawn services in Fredericksburg, VA. Description: Left side Removal of any dead plants, side flower beds to clean up and removal. Items Needing Service: I need the weeds pulled from the front lawn and flower beds. Location on Property: gutters need cleaning. please give me an estimate. Items Needing Service: One tree in the front I think it's a maple needs trimming. Facing the house from the street it's on the right-hand side needs to be pruned or something. Location on Property: eding service:One tree in the front I think it's a maple needs trimming. Facing the house from the street it's on the right-hand side needs to be pruned or something. Work to be Done: ree in the front I think it's a maple needs trimming. Facing the house from the street it's on the right-hand side needs to be pruned or something. Items Needing Service: Trim shrubs. Location on Property: Front planting bed. Work to be Done: Trim, remove clippings. Green Zone Lawn Care Service LLC is a cut above the rest in the Fredericksburg area. Their gardening employees are reliable and thorough. With over 6 years experience, Mike is one of the Fredericksburg area's top horticulture professionals. He primarily does lawn service but also offers tree planting, tree removal and more. Are you looking a economical lawn service provider? Lawn Pride Inc. is a lawn service provider that is proficient in grass cutting, bush trimming, and flower bed installation throughout the Fredericksburg area. Overall a very good job. There were more grass clippings than I anticipated and I will have to rake some areas. However, the grass was fairly long in places, so that may be the reason. I will know better after the next cut. A good job for a first cut! C. Rewis's Lawn And Landscape is a lawn company offering top quality lawn care, aeration and other services in Fredericksburg. They are communicative and results focused. The company also provides clients dog poo removal. Lawn Masters LLC is a lawn service that handles lawn service, tree care, and handyman work. They are also one of the rare companies that also do large scale junk removal. The back lawn looks really good considering it was wet. I appreciate you doing what you could to make it look good.